08, that knife looks great and all... But horribly unused, and lacking attention. Feel free to send it my way and I will happy to give it some attention. It's the least I could do since I owe you one anyways. American Kami...Now we are talking. If I had won that $500 million lottery I would have a tomahawk of theirs in every flavor. You know, one for every day of the week, and for every outfit. By far the coolest tactical tomahawks I have ever seen. Next up is my Emerson CQC-7 Wave. This is my go-to knife for daily carry. 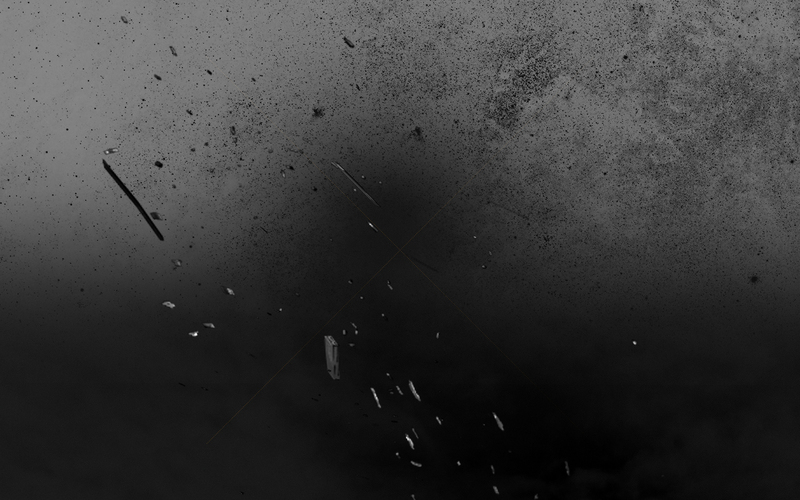 Easy to use, bomb proof, and simplistic. 08 hooked me up when I purchased this knife, so I owe him for that one. The wave feature is great for quick opening, as I do not have to worry about flicking any tabs, pressing buttons, or pushing studs to open the knife. Only great things to say about this simple knife. Lastly, I have a Crawford custom neck knife. Also thanks to 08 for this one, he owned it previously and sold this off to me. This thing has a cool polished finish, kydex neck sheath, and the handle itself also functions as a bottle opener, making it quite possibly one of the more deadly bottle openers in existence. Obviously not as crazy as 08's schwag, but hey gotta keep the thread rolling! I currently run a Glock G19 RTF2 model. Under stress, I feel that this is the best defensive handgun for me that can still be easily concealed. The RTF tears the crap out of my undershirts, however, if my hands are sweating or if it is raining, I will still be able to handle the weapon safely and effectively. You should check out the new M&P Shield too. Those things are SWEET. I saw this a while back and have probably watched it 4-5 times since. You aren't kidding about the amazing footage. #2430 What foundations would you like to se AMS support? Wounded Warrior Project: For obvious reasons, unfortunately from what I have heard (word of mouth, apply a grain of salt) is that their operating costs eat up more money than what they give back. Still a great cause obviously! I should also clarify that is not a jab at you Sims! I have just heard comments about the top side of the organization. Special Operations Warrior Fund: Supports families that have lost a loved one while operating under SOCOM and their affiliates. This one is neat, as the money goes to provide tuition assistance for the children of the fallen Soldier, as well as "survival" money to help the grieving family in the immediate aftermath of their loss. Kilroy, I like your idea of other charities as well, my thought would be something a little less pink though. Something like prostate cancer awareness... Something a little off the beaten path, but JUST AS IMPORTANT IMHO. Thank you for setting this up. I attempted to introduce this with another group after seeing backwards flags, unearned rank, and people wearing unit patches that were not earned... I got some pretty heavy push-back. It's good to see that you guys are headed in the RIGHT direction though. #2300 Post Your Plate Carrier Thread! Not gonna lie. The Woodland Crye shirt is badass! #1142 Post Your Plate Carrier Thread! I'm impressed by some of the posts I'm seeing on here! I'll go ahead and post my stuff up as well. 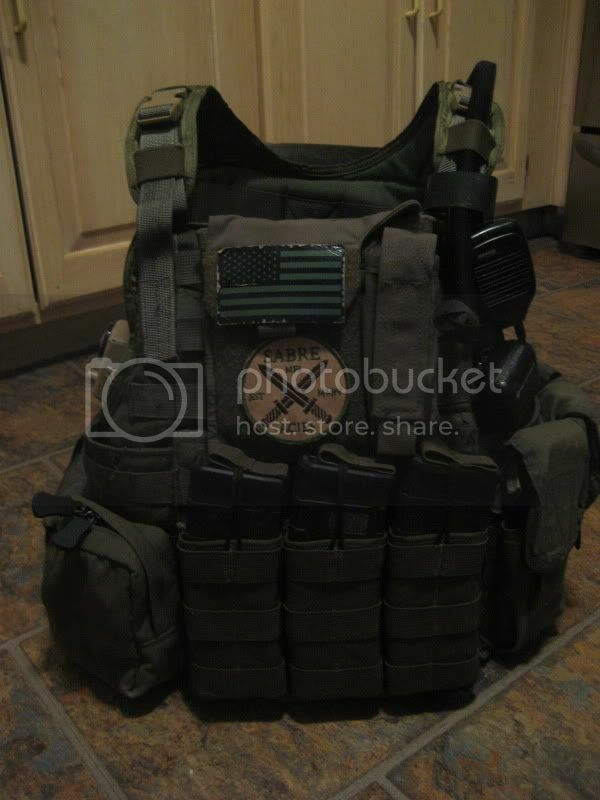 The rig itself is an older Eagle Industries plate carrier, in Olive Drab. The idea of this rig is to keep everything as slim as possible, but still maintain a fighting load. The rig is set up so that I can carry a maximum of 10 magazines on my person, however I typically only run 6+1 in the rifle. I have a triple mag pouch on the front to keep the whole rig comfortable when shooting from prone. If the 3 mags on the front run dry, I can cycle more in from the side. The only real bulk on the rig is the back plate, due to the MAP. #1125 Post a Pic of Yourself in Game/Loadout Thread! No gloves? Without the gloves they can see your hands! Here's one for me, I'm on the leftish, 06 is the one moving. My gear is detailed in the loadout threads.